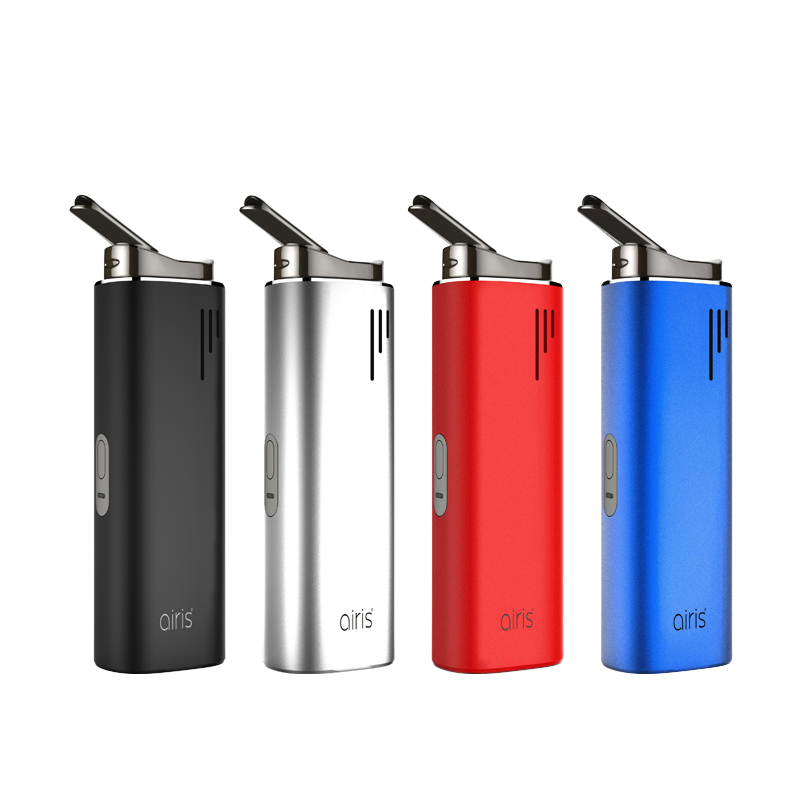 The Airis Switch is an innovative 3 in 1 device that is equipped with different bullet chamber inserts to quickly convert it to accommodate a wide variety of material types. It is equipped with a premium quality food grade ceramic heating oven that is ready to heat dry material right out of the box. Airistech also includes a stainless steel bullet insert that can be used for dry if preferred. To make things extremely convenient on the go, pre-pack your stainless bullet insert and when you've finished your first chamber, just drop it into the ceramic oven to start another session without the hassle of refilling. There are two other bullet chamber inserts included in every box that allows the Switch to support concentrated oils. Just load your material up to the max fill line, drop it into the ceramic chamber and use the highest temp setting. Be sure to always hold the Switch in an upright position while using concentrate bullets to avoid waste/spills. Either path you choose to take the Airistech Switch offers three preset temperature settings that will help you to achieve peak results with either material type. Just quickly press the power button 5 times to start a cycle then each single press will change the temperature output. Watch and monitor your settings using the innovative LED power light indicator (Green 420°F, Blue 435°F, White 450°F). The LED will flash while the Switch is heating up and when it reaches your desired temperature in just about 30 seconds the light will change to a solid color. When it's ready for use the Switch Vaporizer will notify you with a strong vibration. Inhale from the 360° rotating mouthpiece and enjoy up to 3 minute cycles. After three minutes of continuous heating an automatic safety duration timer cuts off power, restart your cycle with 5 clicks as needed until you are finished. Pick up the Airistech Switch 3 in 1 Vaporizer today and enjoy all of your favorite material using just one device.